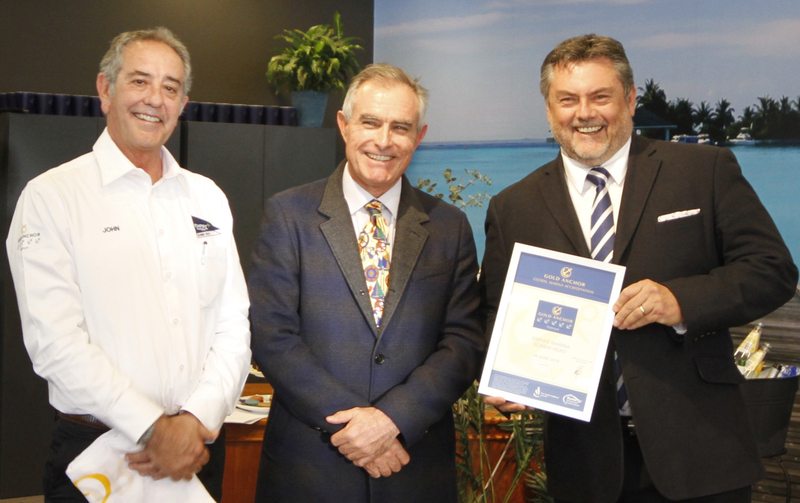 Empire Marina Bobbin Head has been awarded the status of 5 Gold Anchors Platinum, the highest level under the International Rating System for Marinas. Empire is the first marina in Australia to achieve Platinum accreditation and is only one of three in the world accredited at this level. The award was presented by Andrew Chapman, President of the Marina Industries Association to marina directors Darren Vaux and John Lawler at a ceremony at the marina. 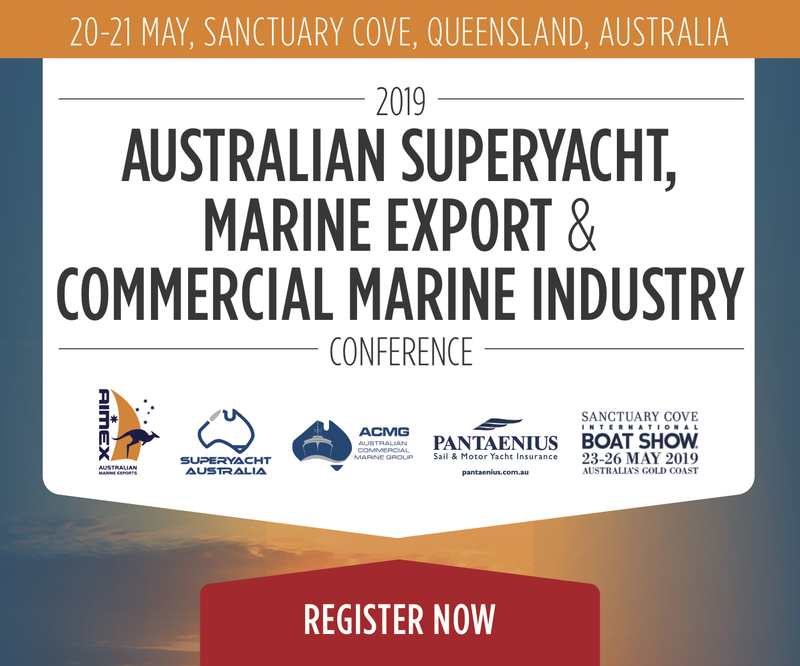 “The International Gold Anchor rating system is designed to provide boat owners and marina users with an easy reference system similar to the Hotel star rating scheme,” explained Andrew Chapman. “Gold Anchor marinas are independently assessed against points-based criteria covering 100 different elements of marina facilities and services, covering areas relevant to consumers including ambience, policies, planning and procedures, customer service, Environmental Performance, on-water facilities, on-shore facilities and includes extensive interviews of customers and other stakeholders. Empire Marina Bobbin Head is a 200-berth marina in the Ku-ring-gai Chase National Park in northern Sydney. The Marina is no stranger to awards, having twice won Australian Marina of the Year and was the first marina Inducted into the Australian Marina Hall of Fame. The Marina has also just won the North Sydney, Willoughby and Ku-ring-gai Council’s Better Business Award in the Commercial and Industrial Category for their commitment to environmental sustainability. 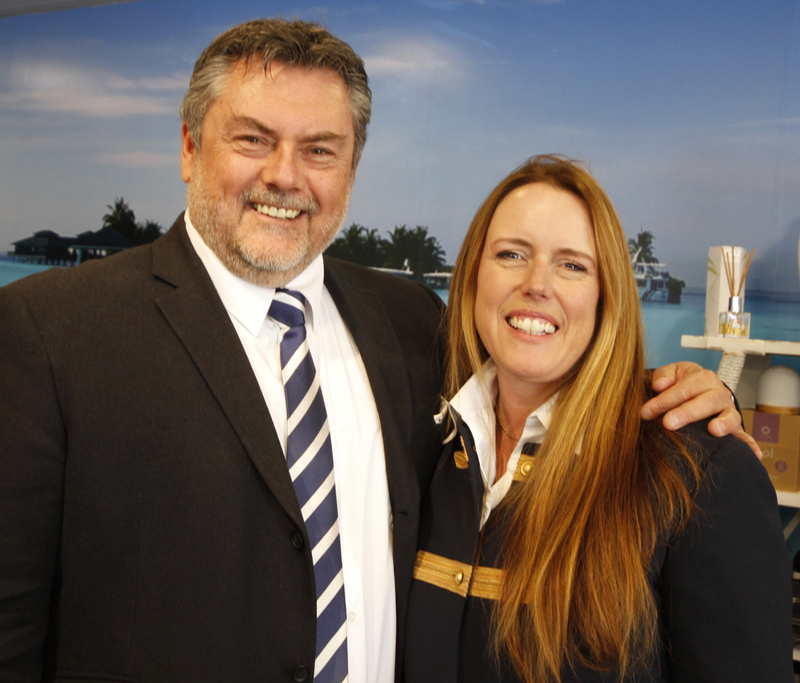 Darren Vaux, Director of Empire Marinas said “This achievement has taken an enormous effort and commitment from the whole marina team in striving for excellence in all areas of our business. They consistently deliver the highest level of service to our valued customers and the continuous validation under the Gold Anchor program will impose the discipline on us to keep us at the top of our game and to strive for constant improvement.